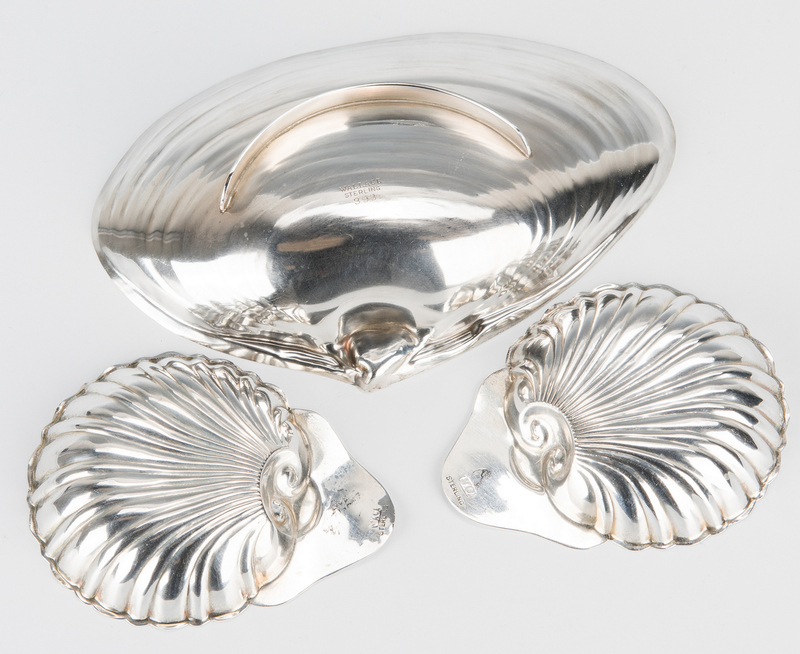 23 Assorted Sterling Silver table items. 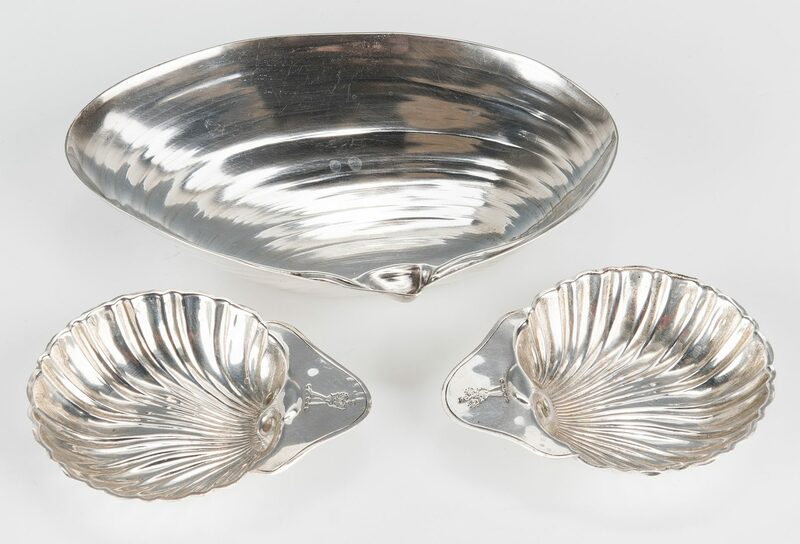 1st item: Wallace sterling shell form dish marked on the base. 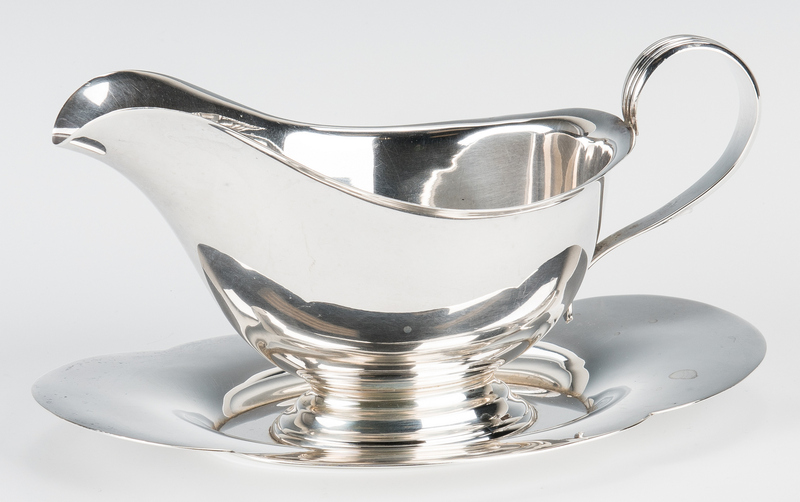 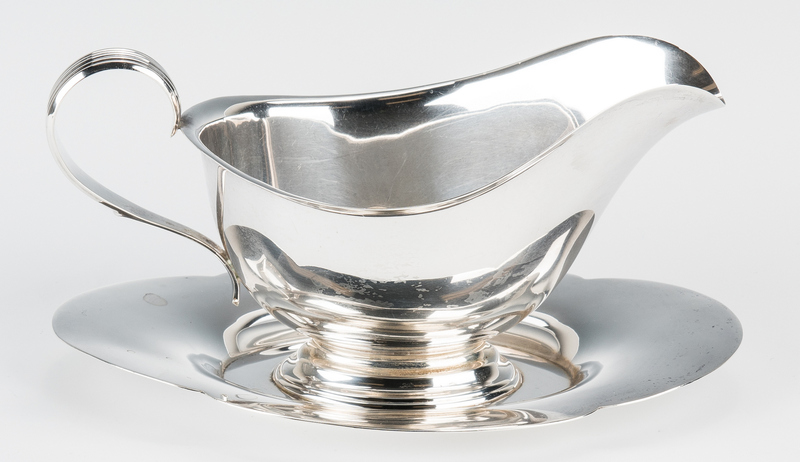 2nd item: Gorham gravy boat with attached underplate marked on the base. 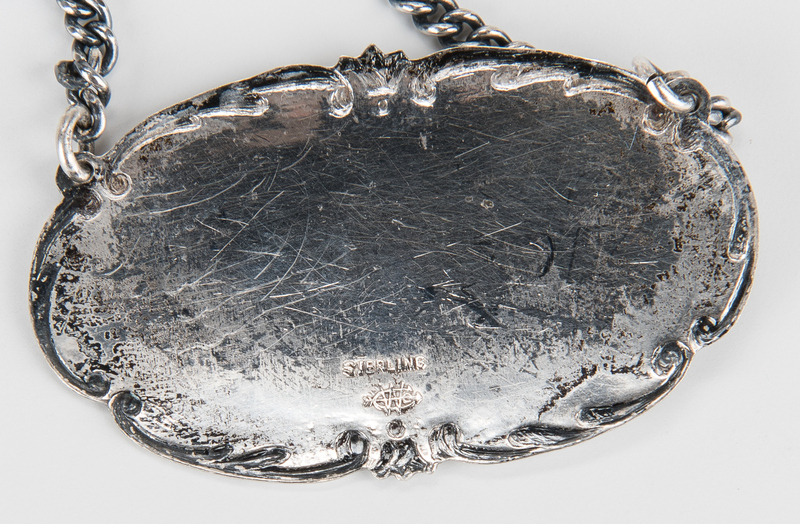 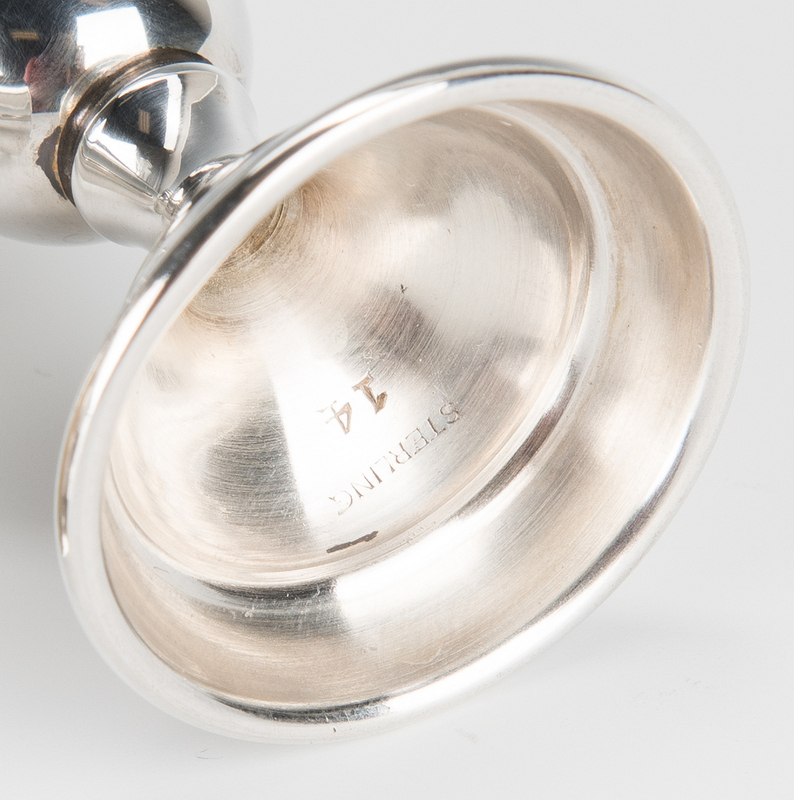 3 5/8" H x 7 3/4" L. 3rd item: Fisher sterling oval card or mint tray marked on the base. 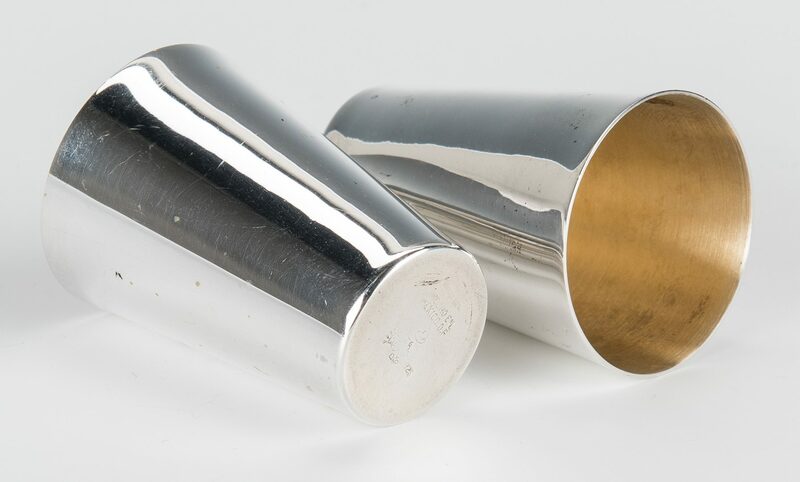 8 1/2" x 6 1/4". 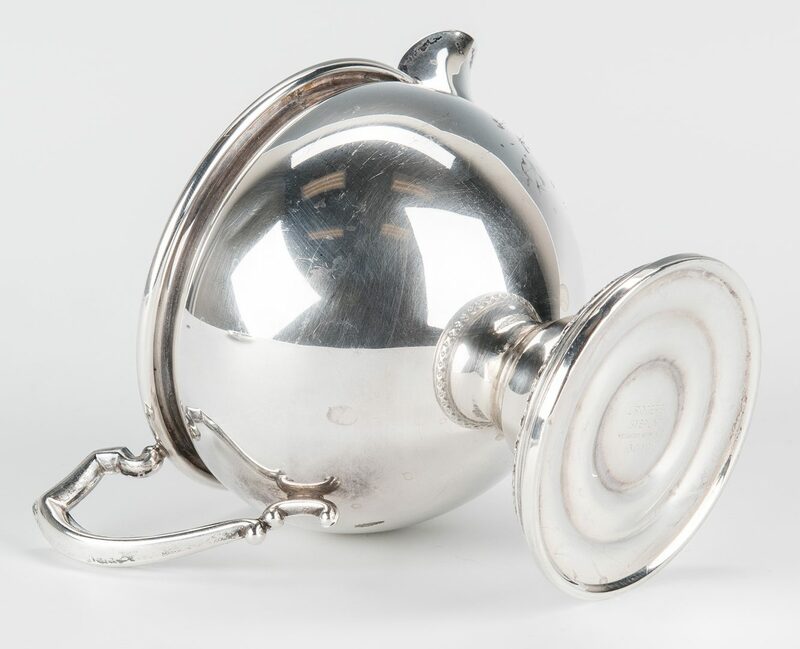 4th & 5th items: International sterling sugar and creamer, pattern C148, marked on the base. 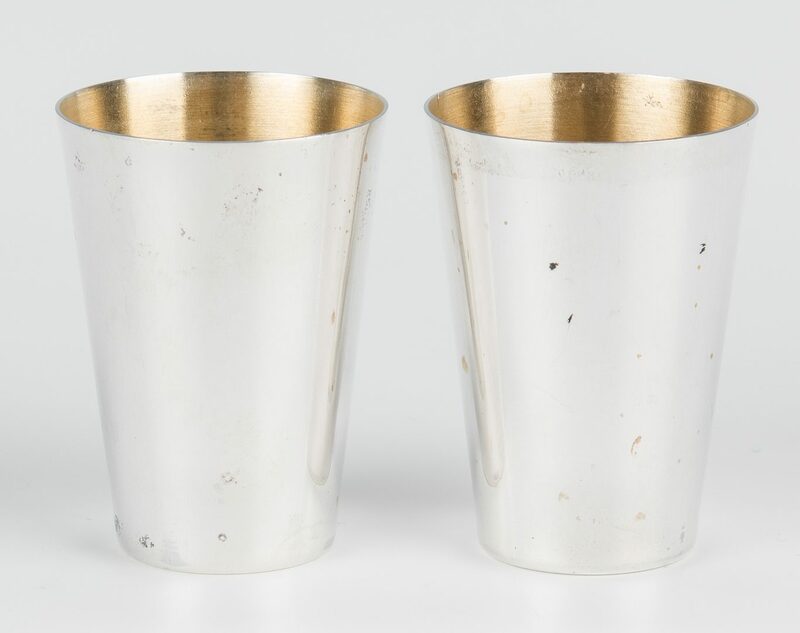 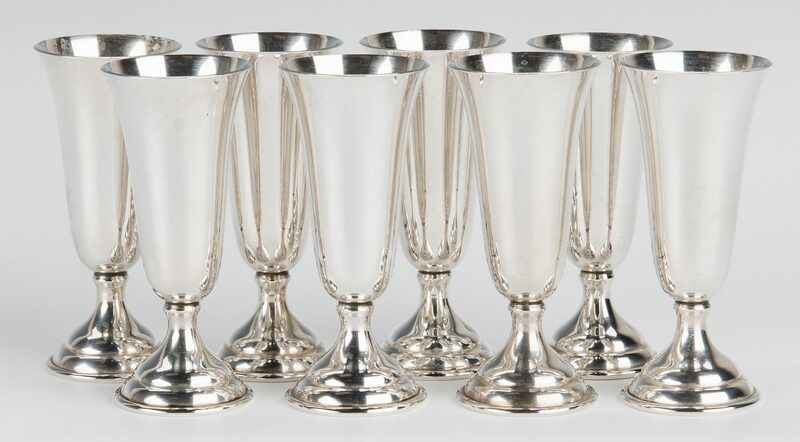 2 3/4" H & 3" H. 6th & 7th items: 2 Mexican sterling shot glasses marked on the base. 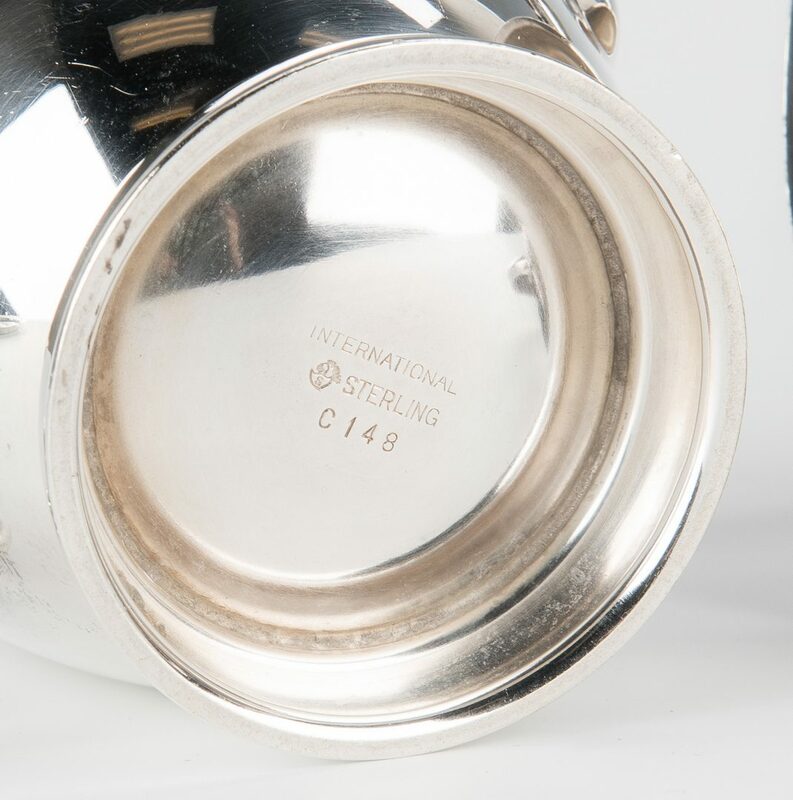 1 7/8" H. 8th-16th items: 8 Randahl sterling cordials together with the matching round undertray marked on the base. 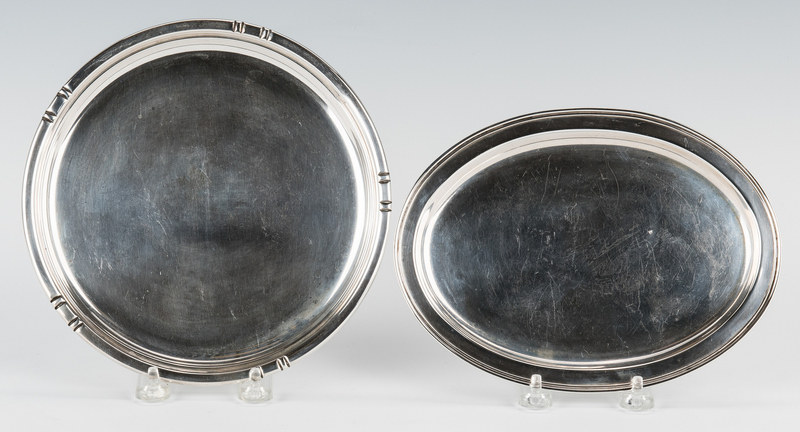 Cordials – 3" H. Tray – 8 1/8" dia. 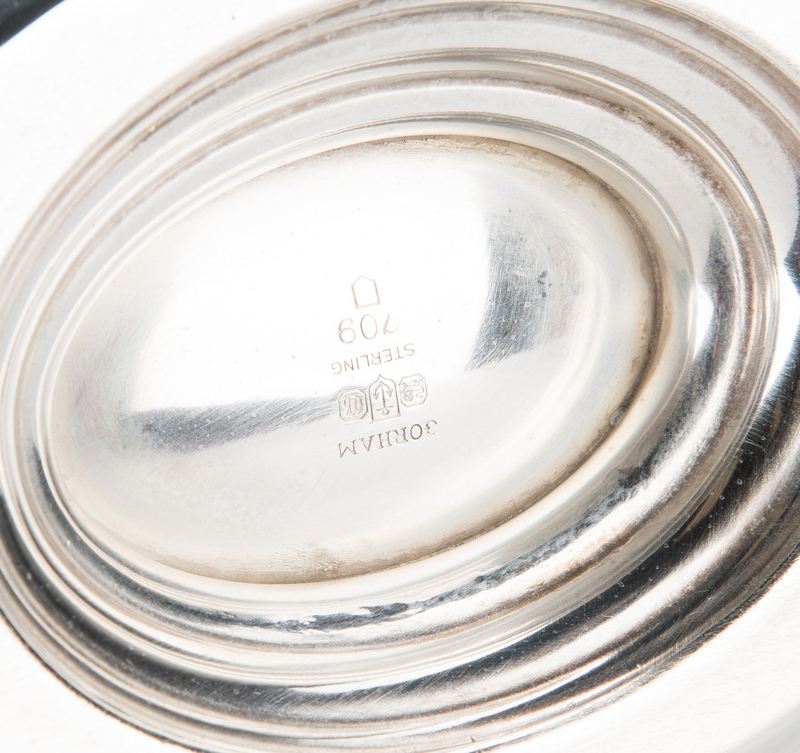 17th-18th items: 2 shell form sterling nut dishes marked "VO" on the base, engraving to the handle. 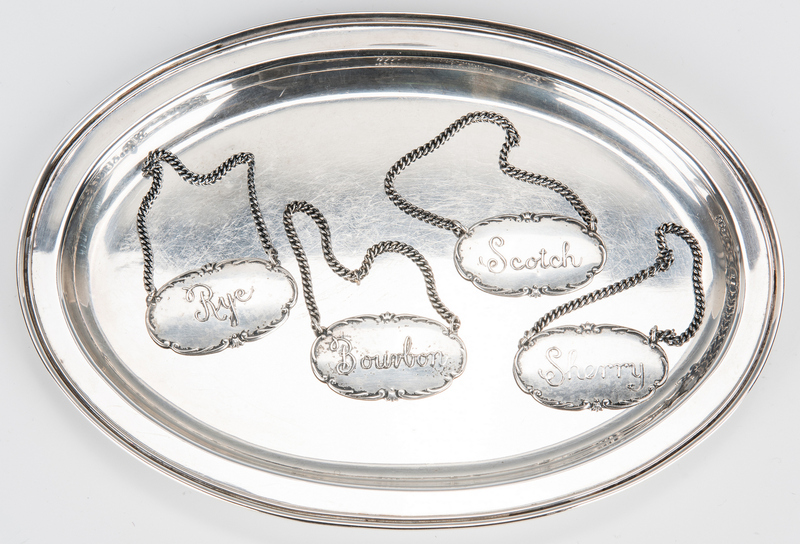 3 1/3" H x 3" W. 19th-22nd items: 4 Webster company sterling liquor tags: scotch, bourbon, sherry, rye. 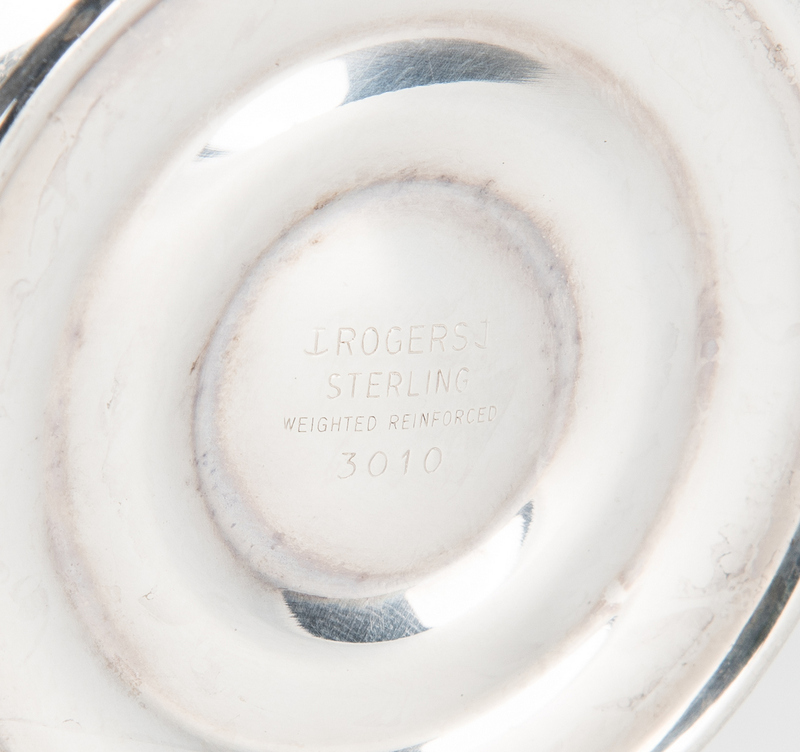 23rd item: 1 Rogers Sterling creamer with weighted base, 3010 marked on base. 3 1/2" H, not weighed. 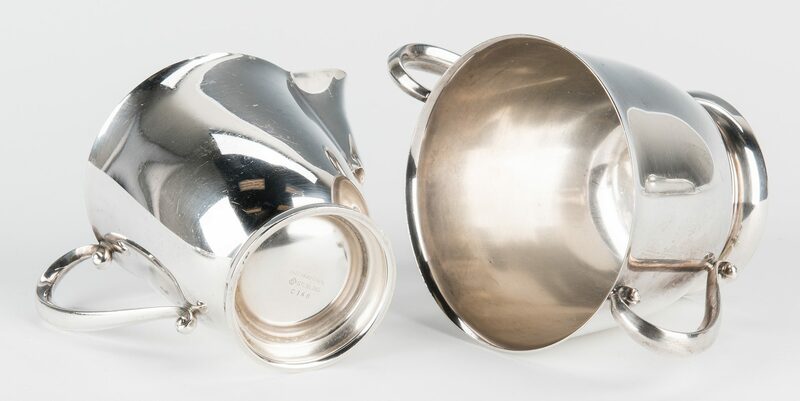 44 total troy ounces. 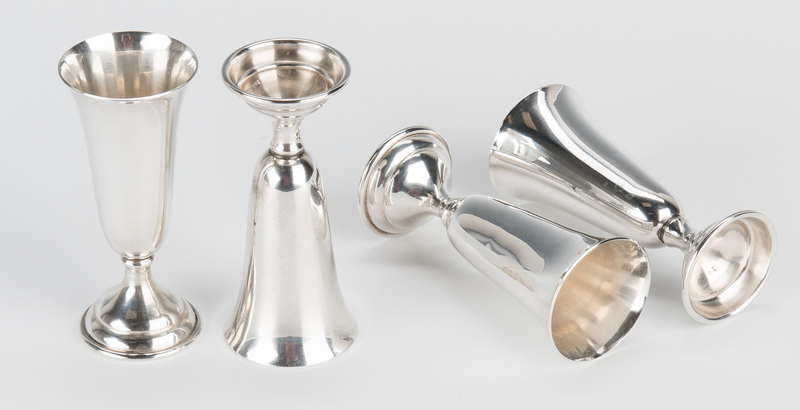 All pieces 20th century. CONDITION: All pieces overall good condition with light general wear and surface scratching. 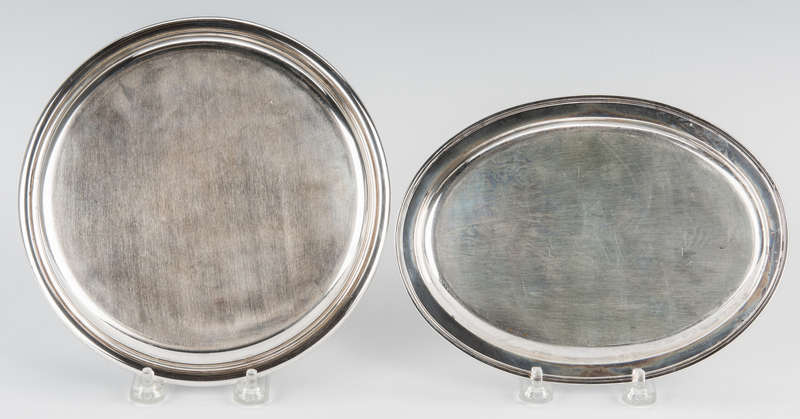 Some pitting/denting to handle of one nut dish.